Aly Dosdall: 5th day of christmas: giveaway! 5th day of christmas: giveaway! To celebrate the 5th Day of Christmas I've got a fun giveaway friends! This giveaway will help spread some Christmas cheer, and hopefully help you get some holiday crafting done. 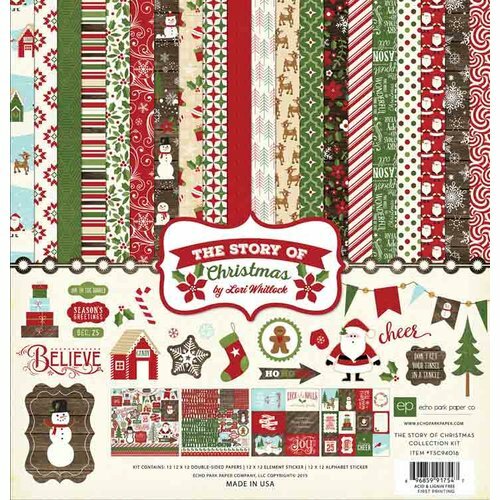 Today I'm giving away Echo Park Paper's The Story Of Christmas collection, plus the Dots & Stripes Christmas paper pack to one of you fabulous blog readers! If you'd like to be considered for this giveaway, please leave a comment below telling what you would do with these lovely Christmas paper collections. Comments will remain open until Tuesday at midnight, and a random winner will be announced on Wednesday morning. Good luck, and don't forget to check back to see if you won! I would use this to make cards and scrapbook pages. Thanks for the chance to win. It looks awesome! Well, I would probably scrapbook some of the Christmas pics I am gonna take next week and would keep some for the next year's cards and tags. Thanks for a chance to win! I'd love to play with these - I've been wanting to put all of the kids' Santa pictures into one space - not sure what, but this would help! Beautiful paper!! I would use it to make lots of layouts and use it also for December Daily!! Thanks for the chance to win! I'd use these cute papers to make scrapbook pages and cards. I'm also in need of some gift boxes and bags. 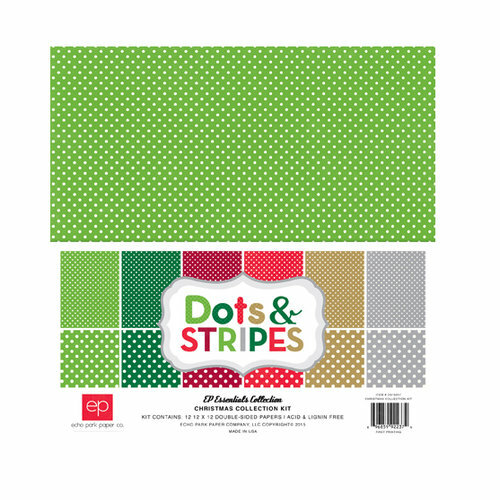 I've gotta get some WRMK punchboards out (the 1-2-3 punchboard is on my wish list) and get to gift-wrapping too! I would definitely use the papers to make cards (my new passion). These are great Christmas papers. I'd add them to my December Daily and make some cards. Thanks! I use xmas papers for minibooks or xmas cards. Thank you for the chance to win, Aly! I would use these lovelies for DD and for cards. Thanks for the chance to win! What a beautiful kit! I would use it to help me finally scrap years of Christmas photos that I've been putting off.